In this master cleanse review, our experts took a deeper look into the original master cleanse. We looked into the master cleanse ingredients, their traditional use, published medical studies as well as the thousands of the master cleanse reviews, before and after results and testimonials. Our experts recommendations are covered in the master cleanse upgraded plan which is designed to offer a safer cleanse that is also much more effective. Master cleanse is a controversial juice diet that replaces all foods with a juice made of 3 ingredients: lemon juice, maple syrup and cayenne pepper mixed with water. In addition to drinking the lemonade master cleanse juice, the master cleanse also promotes the usage of laxative tea and salt water flush (also known as salt water cleanse). The claims around the master cleanse benefits (master cleanse book) include significant weight loss and improved detox, although there is not enough consistent data to support these. Based on our many years of experience working with a very large number of weight loss, detox diet and body cleanse protocols, we do not recommend the master cleanse for detox or for weight loss, as we find its potential risks outweigh the benefits. Step 1 The overnight toxins flush. Step 2 The detox diet plan. Step 3 Evaluate your progress. The most famous part of the master cleanse diet plan, is the master cleanse lemonade drink. Lemon detox properties are well known with many additional health benefits linked to drinking lemon juice in warm water on an empty stomach to promote detoxification. Lemon water detox is a very effective detox drink that is considered the gold standard of many detox drinks. Many juice diet plans such as the lemonade cleanse, lemonade diet, lemon water cleanse among other are all based on drinking water with lemon juice on an empty stomach. Maple syrup is a natural sweetener made from the sap of the maple tree. It has a long history of being consumed in north America. Unlike many artificial sweeteners or processed sugars that have no health benefits and can actually damage your health, maple syrup may have some health benefits. High quality 100% natural maple syrup is rich with essential nutrients (especially Manganese) and antioxidants. It also very high in naturally occurring sugars which can give you energy during the master cleanse. This is also the main problem with maple syrup. What it means for most people, is that the high sugar content in maple syrup is enough reason not to consume it despite its nutritional profile. There are much better healthier choices to get these nutrients without that high amount of sugars. This is especially important when you detox and want to limit the amount of simple sugars in your body to promote better toxins removal, or if you want to accelerate the fat loss. In both scenarios, you will benefit from limiting the amount of sugars in your diet. People that are more sensitive to carbs or sugars may find that drinking the lemon – maple syrup cleanse drink makes them more hungry and irritated than before they had the drink; something they may not feel with just drinking lemon water. Master cleanse review conclusion: Maple syrup is not a good fit for detox and weight loss. Among its health benefits, cayenne pepper detox properties are widely known; cayenne pepper can promote detoxification and cleansing and is commonly used as a cleanser in many detox recipes, body cleanses and detox diets. Most of cayenne pepper cleanse benefits comes from its active ingredient, capsaicin. Capsaicin has shown by research to speed up the metabolism (source) and decrease the appetite (source). It is important to note that based on the research data, these benefits of cayenne pepper were achieved where a large quantity of cayenne peppers was consumed using extra spicy chilli peppers that are naturally high in Capsaicin, or by using a Capsaicin extract from cayenne pepper. The amount of cayenne pepper included in the master cleanse recipe (1/10 teaspoon) has very little Capsaicin in it and therefore unlikely to have a significant effect in achieving many of the cayenne pepper benefits. Drinking cayenne pepper on an empty stomach as a part of a no solid food juice diet can irritate the digestive tract and cause many painful discomforts. Consuming cayenne pepper on an empty stomach is a completely different experience that having it along with your meals as a part of a cayenne pepper diet. Some people have allergies or sensitivities to cayenne pepper along with other nightshade vegetables. Master cleanse review conclusion: due to potential side effects and low benefit for weight loss, cayenne pepper is not a good fit. The Master cleanse salt water flush involves drinking water mixed with salt on an empty stomach in order to force a bowel movement. Also known as the salt water cleanse, this method a is a known home remedy for constipation and colon cleanse, due to the laxative effect salt water has on the body. The idea is that when you ingest more salt than the your body can absorb during a very short time, the body is forced to make a bowel movement in order to get rid of the excess salt. When this happens, it can help to also get rid of other toxins and waste in your colon. Salt water cleanse may cause unpleasant side effects such as nausea and vomiting. The salt overload may cause an electrolyte imbalance along with dehydration, bloating and muscle cramps. People with high blood pressure or other health issues should be extra careful due to the sodium overload. We get many questions on this topic – Using sea salt during the master cleanse is not as bad as using regular salt, although these concerns remain. Master cleanse review conclusion: the master cleanse salt water flush is not recommended, either as standalone, or as a part of the master cleanse or any body cleanse. There are other ways to cleanse your colon that are much more safe and effective. We’ll cover these in the upgraded master cleanse section. As a part of the master cleanse directions, it is suggested to consume herbal laxative tea during the cleanse. The reason for using laxatives during the master cleanse, is similar to the reason of doing the salt water cleanse. When you stop eating solid foods, your body may not have enough movements or volume in the digestive tract so you have less or no bowel movement. As a result, toxins that may be released during the cleanse and other waste can stay in your system longer making you feel sick. This is the reason why any fasting, water detox, juice cleanse or master juice cleanse plans need to start with a colon cleanse. Laxative use however, even in a form of natural herbal laxative tea, has its risk. One of the biggest issues with ongoing use of laxatives is developing laxative dependency. This means that you won’t be able to make regular bowel movements without the use of laxatives. Unfortunately, it is a very common problem that many people have to deal with after overusing laxatives. The second concern with many laxatives (even natural ones) is dehydration and electrolyte imbalances due to the rapid water loss from the body. Before you start looking for the best laxative tea for master cleanse, something to consider. The fact that an herbal laxative tea is all natural, doesn’t mean it is safe. Many laxative teas contain aggressive herbs that can irritate your digestive tract. They may also cause laxative dependency. Master cleanse review conclusion: laxative tea is risky and unsafe. One of the most important part of any body cleanse, detox cleanse or water cleanse is to make sure you consume enough high quality water during the cleanse. Water is necessary for life way before food! Our bodies depend on water in order to function properly in almost every aspect. Detoxification, toxins and waste removal, digestion and nutrients delivery to your body’s cells and tissues are only a few examples of critical immune system functions that require adequate water intake. Consuming enough water is especially important during a cleanse, where the levels of released toxins are expected to increase. Watch for dehydration signs during the cleanse such as yellow urine color and/or dry mouth. Squeeze the juice of ½ organic lemon. Add 1-2 tablespoons of 100% natural real maple syrup. Add organic ground cayenne pepper to taste (1/10 teaspoon). Mix in a glass bottle with 8 oz spring, alkaline or distilled water, preferably at room temperature. The master cleanse diet also known as the master cleanse lemonade diet, is a juice diet, and as such, no solid foods are allowed. All foods are replaced by the master cleanse drink of lemon, cayenne and maple syrup, water and the laxative herbal tea. pay very close attention to how you break the fast – the point when you begin to eat again is considered one of the riskier part of longer fasts. Consuming large amount of foods or liquids all at once can put you at risk as your body may not be able to handle these safely, leading to a refeeding syndrome. The master cleanse results in this section are broken down by the weight loss on master cleanse benefits vs. side effects, and also the master cleanse detox and toxins removal benefits. Master cleanse weight loss claimed benefits are based on the fact that an extremely low amount of calories will be consumed during the cleanse. From that perspective, the master cleanse is no different than any other low calorie plan. Drastically cutting your calories may provide a short term weight loss, but it comes with a price: your body is likely to respond by slowing down its metabolism and going into preservation mode. When this happens, you usually have less physical energy so you won’t be able to exercise as often or with enough intensity. Your body will keep using its stored body fat and other tissues (such as muscles) for energy, so you keep losing weight. If you are looking to improve your body composition (muscles to body fat ratio) or to look leaner, you are less likely to find the master cleanse suitable. The second fact to consider when it comes to the master cleanse weight loss, is what happens AFTER the cleanse. You may look at as many master cleanse before and after pictures as you can, but these do not always tell the complete story; most people gain all the weight back. The reason behind this is simple: once the cleanse is over and you start eating again, unless you change your old eating habits and lifestyle, you will probably go back to eating the way you were used to, and gradually to your old weight. In addition, your metabolism may have slowed down as a response to the drastic caloric reduction during the master cleanse, so you may even burn less calories than before. This Yo-yo dieting of loss and weight gain is a very common problem of extreme low calories diets and cleanses. The lesson here is simple – a successful weight loss plan usually requires some changes in your old habits, that are also sustainable. Going on a liquid only lemonade diet is not something you can do long term. Something to consider. The colon is the primary organ in the body responsible for removing toxins from the body through normal bowel movements. For this reason, making sure your colon is cleansed so it can quickly eliminate the released toxins during the cleanse is one of the most important steps to do before starting any detox or cleanse. The colon cleanse recipe selected for the master cleanse is the salt water cleanse. The salt water flush method is a relatively shallow way of a colon cleanse; the water with the high salt content can flush toxins and waste from the colon, but they are not very effective in dissolving hard compacted accumulated waste that tend to stick to the colon wall. Furthermore, this method is also unsafe and can lead to many discomforts, electrolytes imbalances and other health concerns due to the high salt content. Colon cleanse can have many benefits when done properly, and there are much better choices than the salt water flush. Oxygen colon cleanse is a good example of a natural colon cleanse that has shown to be both safe and effective; Oxygen colon cleanse works by releasing oxygen in the entire digestive tract to detoxify and loosen toxins, undigested food particles and hard accumulated waste buildup so they can be flushed out naturally by the body. Maintaining consistent bowel movement on a fast, juice diet or any diet that eliminates solid foods is a known challenge, due to the lack of solid foods and fiber. The reason you want ongoing bowel movements during the cleanse is to allow release toxins and waste to get out of your body; if they circulate in your body for too long, you may feel bad and get a healing crises. Many juice diet protocols address this problem by having green juices made from veggies which in some cases can trigger bowel movements. Since the master cleanse does not include any greens, a laxative tea (master cleanse tea) and the salt water flush are used. As mentioned before, this may not be the most effective and safe way to promote bowel movements during the cleanse, especially since the master cleanse lemonade drink doesn’t have enough electrolytes and nutrients to replace the ones flushed out from your system! The biggest risk we see with the master cleanse is the lack of vital nutrients during the cleanse. Detox or cleanse drink can’t provide your body with all the essential nutrients it needs on an ongoing basis. Especially not a drink that contains 3 ingredients. The usage of laxatives methods during the master cleanse can make the lack of nutrients a much more serious problem, since you are not providing your body enough nutrients and electrolytes to replace what is flushed out from your body. As a reminder, the bowel movements you experience from the salt water flush and laxative tea are not normal bowel movement; they are strong diarrhea which means you may be losing a large amount of water, minerals, electrolytes and other key nutrients. Will you do the master cleanse again? The upgraded master cleanse protocol can be done anywhere between 1 to 7 day cleanse and it is designed to help your body get rid of toxins and accumulated waste buildup. Based on the feedback we got, many people find this upgraded master cleanse also useful to jumpstart their weight loss program, helping them get back on track towards a healthier eating habits. If you currently experience bloating, digestion issues and low levels of energy that prevent you from getting started, you may find this protocol helpful. Taken from our nature’s most potent remedies series, the overnight toxins flush is one of the most effective natural colon cleanse remedies to quickly and safely remove toxins, excess gas and accumulated waste from your colon as you sleep. The detox diet plan below focuses on a lemon cleanse drink along with easy to digest foods that have strong cleansing and detoxification properties. Squeeze the juice of ½ organic lemon and add 1 teaspoon of organic raw unfiltered apple cider vinegar into 16 ounces of distilled, spring or alkaline water. To help support the kidneys in eliminating toxins and to promote healthy kidney function during your cleanse, you may want to consider adding kidney cleansing herbs such as Uva Ursi, Chanca Piedra, and Horsetail to the drink. Adding these herbs in a form of alcohol free liquid herbal extracts tinctures can enhance your kidneys ability to detoxify, and improve the results of your cleanse. A good example can be found here. Add organic stevia to taste (optional). If you get bored easily and looking for exciting flavors, you may want to consider non calorie alcohol free organic flavored stevia such as sweet leaf sweet drops. It is important to mention however, that while these drops are calorie free, ongoing use of them may get your taste buds used to a very sweet taste, something that may be hard to achieve with normal healthy eating. So if you decide to use these drops, use them as a part of the cleanse, but not on an ongoing basis. In our testing, most of the testers enjoyed the english toffee and vanilla crème. Eat ripe organic fresh fruit on an empty stomach, same type of fruit each time (don’t mix different types of fruits). Start with small portions (20 grams of carbs) each time. Gradually increase the amount of fruits only if needed. Remember: the idea here is not to eat until you are full, but to eat to satisfy your hunger, which typically happens 30 minutes after you eat. Fresh berries make an excellent choice; they taste great, are relatively low in sugars and calories, and are very high in antioxidants and other health promoting nutrients. To get the most out of your fruits and avoid common mistakes when eating fruits, see the fruit section in our free ebook. (chapter 4 – Diet). Choose fresh fruits (not dry fruits) that you enjoy eating, making sure they are fresh and ripe. Unripe fruits can actually cause digestion problems and bloating. Do not drink liquids when eating. 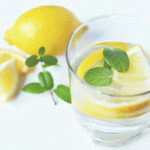 Drink spring water or the lemon cleanse drink, based on how you feel. Drinking enough between your meals can help to promote healthy toxins removal as well as with hunger. In many cases when we feel hungry, we are actually thirsty! Choose raw dark leafy greens you enjoy such as romaine lettuce, add 2-3 fresh cucumbers, 1 fresh ripe avocado, 1-3 tablespoons of hemp seeds. For dressing, mix fresh squeezed organic lemon/lime juice, 1 tablespoon olive oil and himalayan pink salt to taste. If you like the taste of the apple cider vinegar, you can add 1 teaspoon to the dressing as well. Many people are very surprised to learn that the combination of the overnight toxins flush with the detox diet makes them feel very energized, despite consuming less calories. This is not surprising, considering this is a very effective cleansing diet designed to get rid of bloating, excess gas, toxins, accumulated waste and undigested food particles. When your body gets rid of such a burden, it has more energy and resources to perform better and to actually heal other areas which may have neglected before. If you feel that you have more energy – use it! this is a great opportunity to workout, exercise, socialize and leverage this increased boost of energy. You may not want to have the most intense workouts during a cleanse, though. Listen to your body. If you haven’t exercised for a while, this may be the perfect opportunity to create a new healthier lifestyle. It always starts with one great workout! This cleanse diet is not designed to be consumed on an ongoing basis, but only short term (up to one week) in order to cleanse your body. We get many questions from people who enjoy this way of eating, especially how it makes them feel, and would like to stay on it longer. Our recommendation is to gradually add more foods and evaluate how the addition of the new foods make you feel. If you are looking for more info on cleansing diet drinks such as the lemon cleanse drink, see our detox water experts guide. For more ideas of healthy low carb recipes you can include in the upgraded master cleanse and also in general, see our recipes section. In this experts guide, we cover how to make detox water & detox drinks the right way, so you get all the benefits, while avoiding common critical mistakes. We also included a special section on detox water for specific concerns such as liver, gallbladder, energy, stress, joint pain, inflammation, brain & mood and kidneys health. Time To Share your Wisdom with the World! Have you already tried the upgraded master cleanse? How did you like the master cleanse review? Comment and share with the world! Thank you for taking the time to review the Master Cleanse, so people can see the potential risks of this detox fast, although I am sure some do and have benefited from it, but suffering from Candida, leaky gut and epilepsy I need to be very cautious.